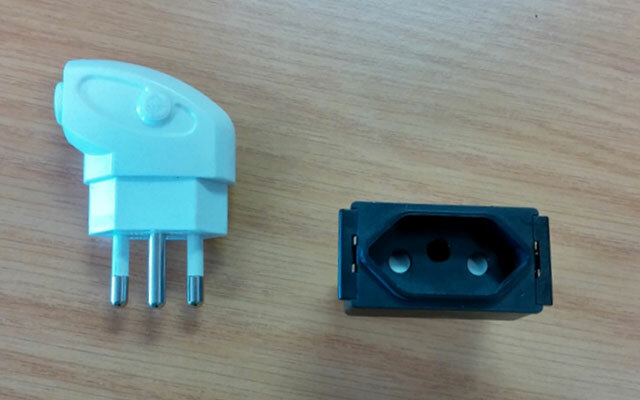 South Africans could soon find themselves having to wrestle with a new type of electrical plug following the adoption of an apparently much safer standard for plugs and sockets. 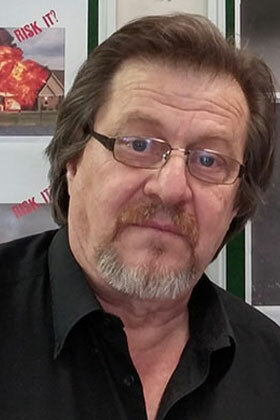 SANS 164-2 was introduced as the “preferred standard” for electrical plugs and sockets by the South African National Standard for the Wiring of Premises (known better as the Wiring Code) in 2013, says South African Bureau of Standards (SABS) SC23B mirror committee chairman Gianfranco Campetti. South Africa has long used its own, unique three-pin plug that doesn’t fit electrical sockets used elsewhere in the world. In fact, there are over 50 different plug and socket configurations used across the world today. Plugs and sockets based on SANS 164-2 will be available from April this year, says Campetti. However, products fitted with the new plugs — kettles, irons, fridges — could take a few years to arrive on retail shelves. 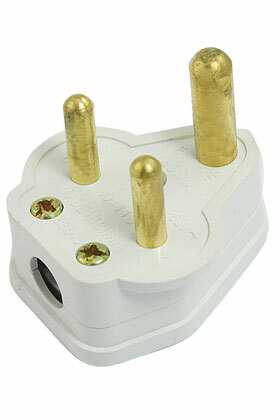 The country’s unique plug stems from the fact that as a former British colony, South Africa adopted the UK standard of three large round pins as early as the 1930s. When the UK switched to flat pins in the 1970s, South Africa should have followed suit, but didn’t — mainly due to commercial reasons. 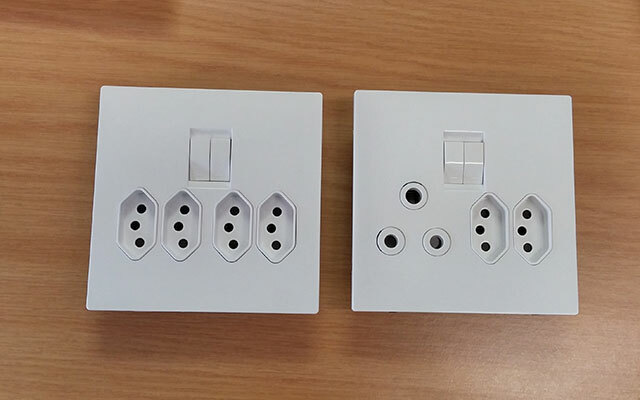 The BS 546 British standard adopted by South Africa is codified in SANS 164-0, which is made up of nine different plug and socket configurations, of both two-pin and three-pin types. The three-pin plugs are polarised and un-fused (they don’t have individual fuses) and are not interchangeable between electrical current ratings. At the end of the 1990s, two significant developments occurred, explains Campetti. The Europlug came to South Africa as a basis for cellphone chargers, and small hand-tool manufacturers introduced the unearthed Schuko, a German standard, into the market. Cellphone two-pin plug chargers are double-insulated, don’t need earth pins and convert 220V into 5V (depending on type), says Campetti. The two standards are the SANS 164-5 two-pin, non-rewireable system (2,5A; 250V) for equipment like cellphone chargers and the SANS 164-6 two-pin system (16A; 250V) for equipment like power tools and electric lawnmowers. After World War II, the International Electrotechnical Commission (IEC) decided to create a worldwide configuration. The IEC is a nonprofit, nongovernmental organisation based in Geneva, Switzerland that sets standards for all electrical and electronic technologies. Bodies around the world, including the SABS, have adopted the standards set out by the IEC. The IEC formed a working group and commenced work in 1956. Thirty years later, in 1986, the IEC 906 standard was published, says Campetti. However, manufacturers showed no interest in switching to the IEC standard. “No one was prepared to tool up or implement it because of the costs involved,” says Campetti. “Despite this, SANS 164-2 was introduced as a national standard and was specified as the ‘preferred standard’ last year in the code of practice in South Africa. This means that from around 2015, all new installations will have to be fitted with the new standard, and that the old (SANS 164-1) will be phased out over the next 10 to 20 years, or possibly longer,” says Campetti. The proposed new plug will have three levels of safety and will be the safest plug point in the world, with only Switzerland’s plug points coming close to that level of safety, according to Campetti. But will South Africa be at an advantage or a disadvantage by making SANS 164-2 the preferred standard for plugs and sockets? Campetti says there are three elements to consider when evaluating this. He groups these under “economic”, “technical” and “export”. The economic element will mean more local manufacturing and jobs, while the technical aspect means South African will have the safest plug and socket system in the world — it will apparently be impossible for a child to put their finger in a socket and get shocked. It astonishing to hear that in one breathe, then to hear that South African Bureau of Standards (SABS) SC23B mirror committee decides to go against the world in the next. What is going through their heads? There will be perhaps few hundred local jobs as the result of having to cut and fit different plugs, probably voiding the warranty in the process. It will not make our electronic manufacturers more competitive but maybe lazier. It’s like arguing that we should fit the steering wheel of our cars right in the middle so it will create employment for local car manufacturers. How can any functioning adults think like this, I can never understand.